I find inspiration from a great many sources. This post was inspired during a time when I was considering creating an inspirational oracle card deck based on the major tarot arcana. 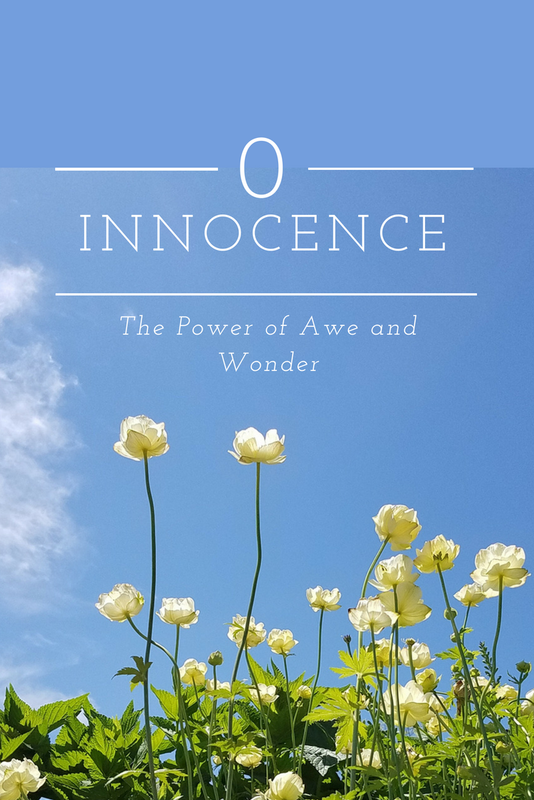 Innocence was going to be one of the themes in this deck and the more I think about the mindset around innocence, the more I begin to realize how powerful it is! I hope you enjoy this perspective! 1: Wonder and Appreciate: Get rid of the apathy haze! "Wow, look at that tree over there, it must be hundreds of years old!" ... (Sigh) "That's nice"
"Dandelions are my favorite flower!" .... "Oh yeah, my yard is full of those weeds. I just mow them down". You get the picture. We all do it! We slowly become immune to the people, the places, the things that we see everyday. We forget how perfectly intricate and amazing even the tiniest natural thing is. We forget to appreciate the common, everyday things as we slowly begin to take them for granted. This is nothing to beat yourself up about, it is just a habit and habits can be changed! I think that it is easiest to start outdoors with natural items, but you can do this exercise with anything from your favorite shirt to your favorite kitchen appliance. Go outside! Take off your shoes and place your feet on the earth, if you can. Take a short walk and pick up one natural thing that catches your eye. It could be a rock or leaf or flower or shell, whatever you find interesting. Take five minutes to admire it. Find as many things to appreciate about it as you can. Think about it's physical qualities and about how it makes you feel to hold and admire it. Start general and then get as specific as you can. Grab your journal and write it down if you would like, or just list them out in your head. Let's use the example of a small pebble from the beach. I like the weight and the feel of the pebble in my hand. It is smooth, almost soft, and it fits perfectly in my palm. I love how easy that pebble was to skip on the water. I guarantee that after spending five minutes singing the praises of whatever you are holding, you are going to feel so good! The awesome thing about this exercise (besides its simplicity) is the more you do it, the more quickly the awesome feelings set in. When your dominant thought habits revolve around appreciating what is around you, you are golden my friend. Just watch how the law of attraction seems to just get easier and easier. It is amazing how much we limit ourselves with our thoughts as adults. When we are kids, anything is possible. There are absolutely zero reasons why you CAN'T be an astronaut or a professional ballerina or an undersea explorer or anything else for that matter when you grow up. I have even known children to truly believe they are a different species, like tigers or dogs or cats, for extended periods of time, like weeks on end! Now, I am not saying that you should quit your day job and become a mountain lion full time, but I would suggest that you take some time to examine the beliefs that you hold about yourself. Not sure what beliefs you hold about yourself? Take a look at the parts of your life that are less than satisfying. Why are you allowing them to be less than satisfying? This may cause you to feel uncomfortable or defensive, let those feelings surface. Allow the excuses to bubble up because the excuses you make for the mediocrity in your life are a peephole into your subconscious. Excuses are based on your negative beliefs about yourself. For example: I am really dissatisfied with my work! I don't really like my job that much and I don't make enough money. So why are you CHOOSING to work somewhere that you dislike and that doesn't pay you well? Possible translation: "I am not capable of attracting my perfect job." "This is what I went to school for." Possible translation "I am not capable of learning a new skill set." "I can't take the risk of being unemployed." Possible translation "Money does not flow easily to me." "My boss couldn't manage without me." Possible translation "This is the only place where I feel special and worthy and capable"
"It's not that bad. Lots of people have jobs they don't like." Possible translation "I don't deserve to be happy"
Now, what would you do if you knew for an absolute fact that you could attract your perfect job, AND that you could easily have all the money you need, AND that you are perfect and worthy of love and happiness AND that you have something unique to give to this world? Just suspend your disbelief momentarily and put all your limiting beliefs on hold for a minute and just dream like a child dreams. You don't have to know HOW you are going to accomplish it or WHEN it is going to happen. Just knowing WHAT you want and WHY you want it are enough. How does this magical daydream make you feel. Powerful, Limitless, Happy, Motivated, Peaceful? Write down how your dreams of what you truly desire make you feel and just try to feel that way once a day. It could be by doing something completely unrelated. Just do one thing per day that makes you feel powerful or happy or motivated and see where you end up. I understand the difficulty involved with being completely vulnerable with another person, but are you able to be fully vulnerable with yourself? Do you allow your emotions to well up when you are alone or do you stuff them down because you don't have time for them or you feel like you shouldn't be experiencing them for some reason? This is another thing that the innocent understand. Children are always used as an example for a reason, they display this characteristic perfectly. When they are upset they are UPSET and you know it! When they are happy they are HAPPY. It does not matter one bit if their emotions are convenient for someone else at that particular moment. The cool thing about this, even though it seems dramatic to us, is that children allow emotion to flow through them, their emotions express powerfully in one moment and then are completely forgotten the next. So I would like to ask, what is more dramatic, the quick but powerful outburst or the slow simmering and dwelling over and worrying about and stuffing down of an emotion over the course of months or years of lifetimes? Again, you don't have to have a meltdown in the supermarket because they are out of your favorite mustard, but when you experience that disappointment, feel it, acknowledge it and let it flow! When the pain is more serious, more deeply rooted, allow that to come up for you when you are alone or with people that you fully trust. Allow those tough emotions to come up fully, thank that emotion for being your teacher and then ask that it flow through you and be gone. The first card in the major arcana in traditional tarot decks is often 0:The Fool. This is someone who doesn't even consider what other people think about him. He doesn't have to pretend to know it all because he doesn't care if other people think he is ignorant. We spend a lot of time worrying and caring about how other people might perceive us. We tailor our actions and words and body language to accommodate what we believe that other people want to see or hear. We have a lot of fear surrounding not having all the answers and of being viewed as stupid by people that we love and respect. This fear stems from a lack of confidence in our own abilities, competence, and worthiness. Aka a lack of self love. This fear does NOT originate in truth! So if you have a question, ASK! If you have a need that is not being met, ask that it be met..Express yourself and make your desires known! This helps you help yourself and helps other people feel comfortable enough to ask their own questions. 4½ ... and Listen for the Answer! The other aspect to this is, when you feel lost or when you just really need some guidance, ask the universe, source, your higher self, God, Goddess, spirit guides (whatever you like to call universal loving energy) to help and guide you. THEN, and here is the important part, open to and listen for the answer! This is why meditation is such an important part of any spiritual practice because when you ask for guidance, meditation is the time when you quiet yourself enough to listen for the answer! There is so so much loving energy directed specifically at you in every single moment of every single day. All you have to do is ask to receive it and then open up. Since I started practicing this, my whole life has changed. I never feel lonely and I always feel supported. I can't even express to you how many times over the past few months I have been brought to tears by the amount of love rushing through my system from Source after only about 5 minutes of quietude. This practice has also been an integral part of writing my blogs. Before (and often in the middle of) writing my blogs, I will ask my higher self for guidance on what I should write about and how to most effectively communicate those concepts. The idea to start this mini blog series came to me during a meditation after asking what I needed to focus on for my blog. While writing this blog, after finishing Tip 4, I was feeling pretty stuck and I felt like I was forgetting something. I asked for guidance and this whole section about asking source for guidance came into my head within seconds ("Like DUH", but there you have it). The more you practice communicating with source, the easier it becomes. Before you know it, universal responses become almost instant and it is like having a conversation with a wiser, older and infinitely compassionate version of yourself! I don't know how many of you talk to yourselves on a regular bases, but communicating with your higher self is like that, except you actually get helpful answers to your questions. So go out and practice feeling awe and being in a state of blissful wonderment about the world around you! Start remembering that you are infinite and that your life is full of infinite possibility! Practice letting your emotions flow and then letting them go! And for goodness sake (and for your own sake as well), ask some questions and listen for the answers. This is a learning curve for all of us, myself certainly included. But learning and growing is what makes life fulfilling and interesting so I wish you luck and send you all LOVE!